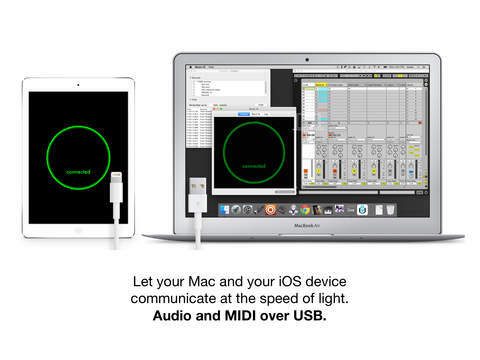 Music IO :: Audio and MIDI over USB between your iOS device and your Mac. 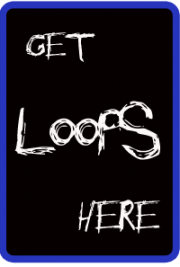 One easy-to-use, professional app. 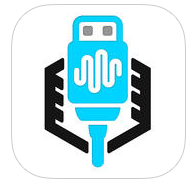 Easily send audio from your iOS device to your Mac using USB; Music IO lets you integrate Inter-App Audio compatible iOS synthesizers with a traditional desktop DAW system. MIDI is built in to Music IO too; everything you need, all in once place. It’s simple, reliable, and near-zero latency. Version 1.10 brings audio over USB! With Inter-App Audio support built in, you can host synthesizer and effect apps within Music IO, and send the audio to a Mac with amazingly low latency. All audio data is transmitted in 32-bit floating point, so there’s no degradation of sound; what your Mac receives is crystal clear. Music IO integrates both audio and bi-directional MIDI functionality into a single app. It’s simple, easy-to-use, and better yet: one app means less processing and memory demands on your iOS device. This lets you use more instruments, create more complicated sounds, and add more (and more sophisticated) effects. Download the free, companion app from the Mac App Store (musicIOapp.com/mac) and get connected in no time.